I never thought I'd say this but these diaper's are kind of cool. Tereson Dupuy is the inventor of the Fuzzy Bunz cloth baby diapers that appeared on the Shark Tank earlier this year in season 4. 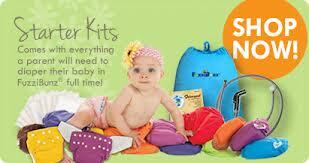 Dupuy first started in the diaper business back in 2000 and is estimating to make $3.9 million this year alone. She has sold over $23 million since she began selling her unique diaper's using word of mouth as the only form of advertising thus far. These Eco Friendly, completely adjustable and rather stylish Fuzzy Buns Diaper's sets them a part from any other diaper on the market. Tereson came into the Shark Tank asking for a $500k investment in exchange for 15% of the baby diaper business putting the valuation at $7.5 million. These Eco Friendly diaper's can save you over $2500.00 per baby until they are potty trained using a total of 12 adjustable diapers. Daymond John asks how much has she made on $3.9 million in sales? Dupuy responds "around $20,000.00". If my math is correct that puts the profit margin at 1/2 of one percent of gross sales. Using these numbers it would seem that good ole Uncle Sam is the only one making anything on this deal. Then Tereson explains about trying to get the Fuzzy Bunz manufactured in China only to be ripped off of her idea and now they are making them under a new "cheaper" name. Go Figure. Fortunately, she does have a patent and is in the process of suing these nit wit thieves. Tereson estimates that these China thieves are stealing approximately 70% of her business but it is very expensive to enforce her patent overseas. It gets worse. Dupuy then explains there are several companies infringing on the Original Fuzzi Bunz Brand with estimated total sales of $30 million a year. All of a sudden her measly $4 million in sales is just a drop in the bucket compared to what she could potentially be making. This gets Kevin O'Leary drooling at the mouth as he starts putting together a Dream Team of Lawyers to go after all these patent trolls. Mark Cuban totally disagrees and thinks the best way to beat them is to out compete and offer a superior diaper. Tereson agrees and said that's what She's been doing but more competition keeps popping up and she needs to enforce her patent. In the end, it seemed like too much potential liability for the Shark Tank Investors all going out without making an offer. This is one Lady you want to watch out for if you're infringing on her patent. 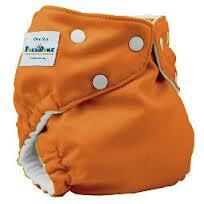 True to Tereson's word, she;s keeping a close eye on any cloth diaper manufacturer using her pocket design. She reviled on her blog there is at least 70 different cloth diapers on the market that are similar to the fuzzy buns brand. It was also interesting to note that Tereson was one of the lucky few Shark Tank Contestant's that did not try out for the show but instead was approached directly by the producers. She was very hesitant on even going on the show because the Fuzzi Bunz in far from a start-up as well as this little problem that seemed out of her control. Dupuy said she learned a lot from the Sharks and made immediate changes when she returned home. It looks like she's also becoming a patent expert and I would imagine anyone infringing on the Fuzzi Bunz is about to start paying up big time. It's sad that she was even on the show because of vipers! Here she's put her time and effort into building a business that should be reaping the rewards and she has to take away from her family and business to deal with others stealing her patents! Just remember that God is watching and He doesn't like it when His children hurt each other. I couldn't agree more. What an excellent product, I'd buy in a heartbeat. What a shame what happened to her. I think it's great that she went on the show because now I as a consumer feel her pain of being ripped off by imitators, and I would make the extra effort to buy the legitimate product.